Father's Day is almost here and you know what that means.. Gift guide time! 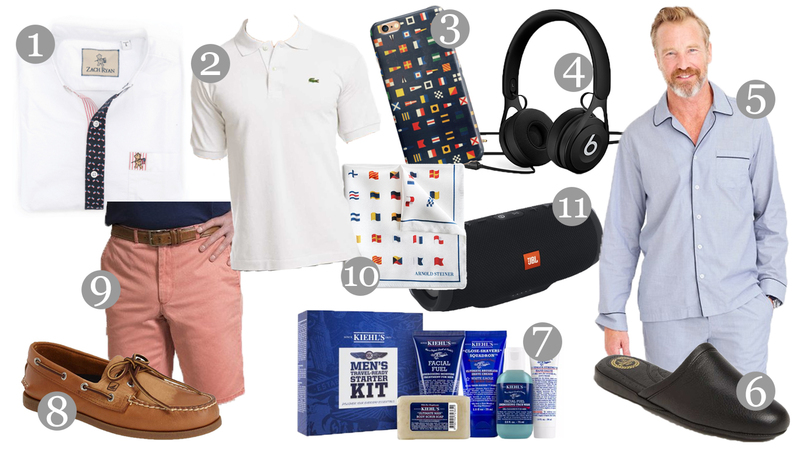 I've put together 25 stylish gifts any dad would love. So whether you need to buy a gift for father's day or you're a dad looking for something good to ask for this year, you can find it here! It's the little things! 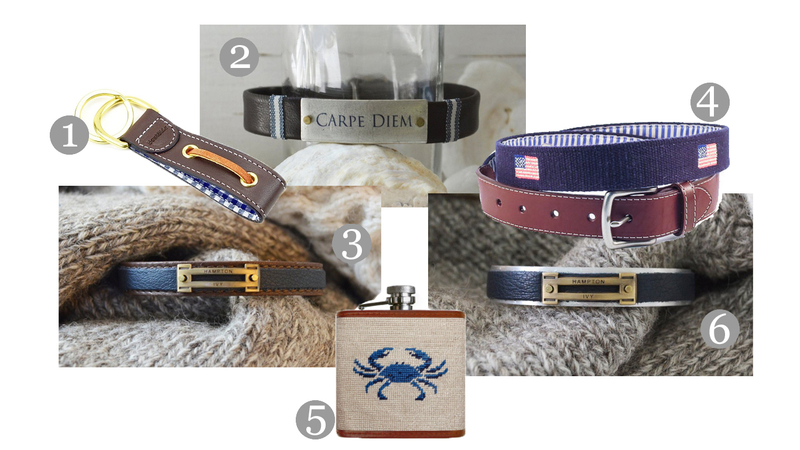 A handsome bracelet can really add a lot to his outfits and so can a classic needlepoint belt. Even a nice key fob adds a touch of style where it might have been missing before. And a flask + needlepoint? What's not to love there?! Is dad's briefcase or wallet looking a little tired? A new handsome leather one would be a fantastic gift choice, plus Mark and Graham can add a monogram (which is a perfect personal touch) for only $9! Or maybe he just uses a money clip, in which case Brooks Brothers has a very nice one. Some other everyday items he might enjoy are: a new watch, a quality water bottle that will actually keep his drinks cold or hot for hours, an ice mold to upgrade his drinks (the ice melts slower and it looks pretty fancy), a nice photo frame with a photo of you to admire everyday, or a brand new stylish tool box that looks so nice he'd want to put it on display! The classics; they never get old metaphorically, but they can get old literally. Classic items such as a white polo, Nantucket reds and boat shoes last a very long time, but eventually, after they've been worn to pieces, need to be swapped out for brand new ones. Plus they're an easy gift any dad would appreciate. Or you can buy dad a fun new fashionable piece he's also sure to love, like a button down, pocket square or fun phone case. But even when dad's not out, he should still be stylish! Combine style and comfort by getting him a handsome pair of pajamas and/or a nice pair of slippers. And lastly, but not least, some new headphones or speakers are always a great gift if dad needs them, as well as some trustworthy skincare, because even dad should have nice (dare I say beautiful) skin! 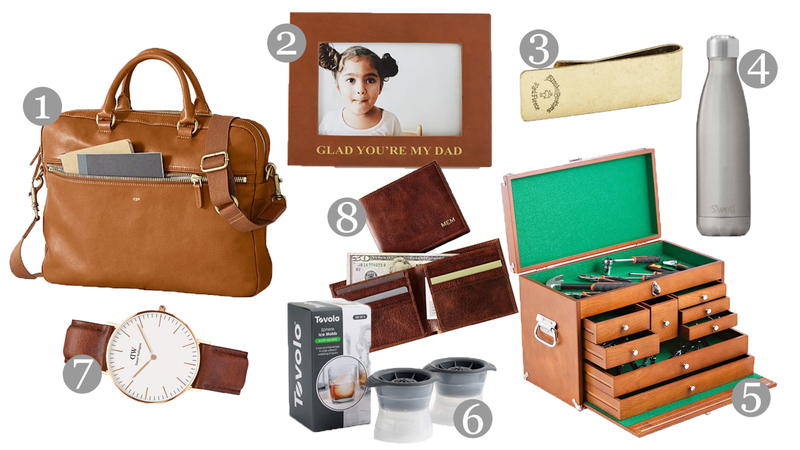 I hope this gift guide has helped some of you friends find a great gift for Father's Day! Did you see anything on this list you think your dad would love? Or if you already know what you're getting him, feel free to share it in the comments below- I'd love to know! & an early "Happy Father's Day" to all of the amazing dads out there!